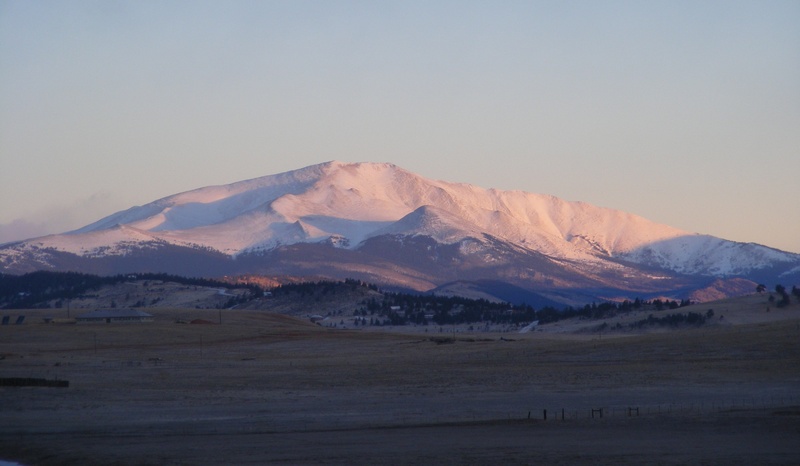 It won’t be long now until all of the Mosquito Range will be covered with snow and beautiful like this picture of Mt. Democrat. This summer has gone by, far too quickly, with too many things left undo. Anyone that has studied basic biology has probably learned about the four stages a butterfly goes through on its way to maturity. A butterfly starts out as an egg that hatches into a larva that we recognize as a caterpillar. The larva becomes a pupa or chrysalis and finally a beautiful butterfly emerges and flies away. Within this metamorphosis is a message for us in how we live and grow throughout our human lives. We also begin our lives as a humble egg that grows into a child. Over the course of time children grow into adulthood but for many of us that is where the transformation ends. We understand the responsibilities and duties of being an adult, but many of us never enter the chrysalis stage. We all go through the motions without much introspection of our life, our contribution or our purpose to the greater good. We wrongly think that because we are grown up and have the ability to reproduce we are butterflies. It is impossible to become a butterfly without going through the chrysalis stage. When I decided to change my life I didn’t realize I was still in the larva or caterpillar stage. I had a wonderful education, a Masters degree; a job I liked; family all around me. At the time it seemed a perfect picture. I wanted to move and challenge myself to try something new, but I didn’t understand a new live would give way to a new me, my butterfly self. Americans have so many external forces setting benchmarks that determine when we have realized our fullest potential. These touchstones of self identification include the car we drive, the neighborhood we live in and the income we earn. In America there are three classes of people: the haves, the have-nots and the pretenders. The vast majority of Americans fall into the pretender’s category as we desperately try to buy our way clear of the have-nots. Debt is not prosperity. What is needed in our lives is the honesty and clarity only revealed through the insight gained during the chrysalis stage. Henry David Thoreau underwent his chrysalis stage at Walden Pond where he discovered a truer meaning to life and the depth of purpose we are all called to if we have the ears to hear. Arguable Thoreau had less external distractions than any of us do today, so simplifying his life and refocusing his future may have been an easier undertaking, but the need for us to find our true butterfly self has never been greater. We cannot continue on our current paths as blind consumers, workaholics and material dreamers. The time for introspection in now. The time for clarity is now. To change tomorrow, we must change ourselves today. This entry was posted in Uncategorized and tagged American, Butterfly, Henry David Thoreau, Larva, Mosquito Range, Pupa, United States, Walden Pond on September 20, 2013 by Windkist Ranch.